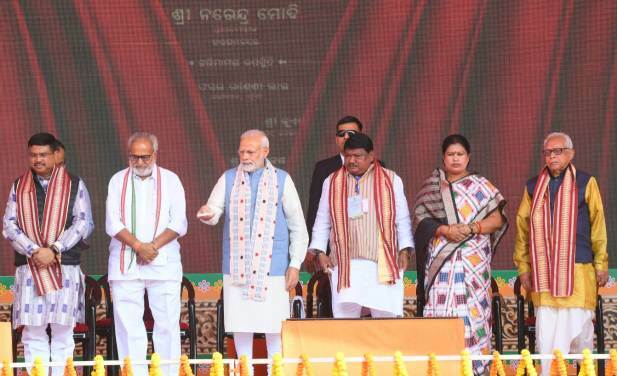 ONI Bureau: Prime Minister Narendra Modi on Tuesday inaugurated and laid foundation stone of multiple developmental projects worth Rs 1545 crore in Bolangir district. 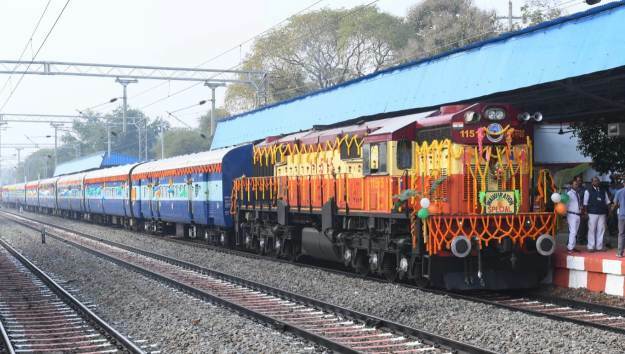 The Prime Minister inaugurated Bolangir-Bichhupali rail line and flagged off a new train on the route. He also inaugurated electrification of 813 km of Jharsuguda-Vizinagaram and Sambalpur-Angul lines, doubling of Barpali-Dungaripali and Balangir-Deogaon road line, renovation and restoration works at Nilamadhav & Siddheswar Temple at Gandhaharadi in Boudh, Paschim Somnath group of Temples in Boudh, and Ranipur Jharial group of monuments in Bolangir. PM Modi inaugurated 6 Post Office Passport Seva Kendras at Jagatsinghpur, Kendrapara, Puri, Phulbani, Bargarh and Bolangir. 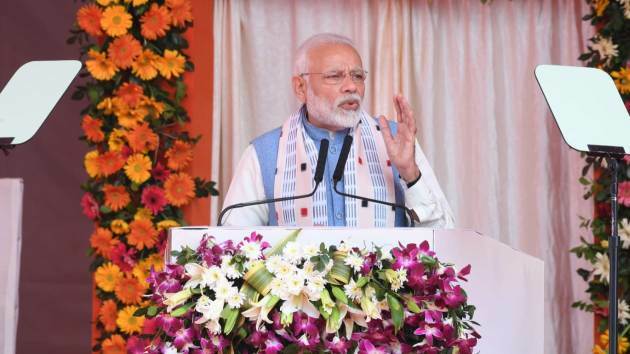 PM Modi also inaugurated renovation and restoration works at Asurgarh Fort in Kalahandi at a cost of Rs 2.2 crore through video conferencing. 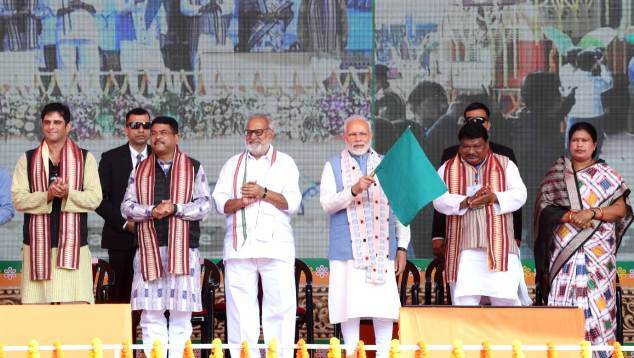 The PM dedicated Multi-Modal Logistics Park (MMLP) at Jharsuguda to the public & inagurated a bridge between Theruvali and Singapur road stations. In addition, he laid foundation stone for the permanent building at Kendriya Vidyalaya, Sonepur and inaugurated Kendriya Vidyalaya building, Raygada.